A tender fresh-looking and fuller face is a sign of youthfulness that won’t last forever. As we advance in age, our faces begin to lose fat under the skin making the facial muscles closer to the skin surface. 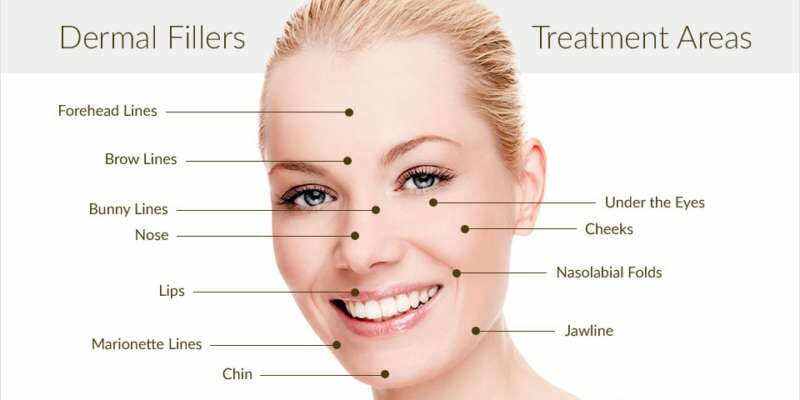 The effects are smile lines and wrinkles among other defects which our Dermal filler in Dubai have successfully handled. The skin is stretched at this time to diminish the facial volume. Injectable Dermal Fillers In Dubai can remove wrinkles, plump thin lips, improve shallow contours, and soften facial rumples. Dermal filler can give your face the desired look you’ve always wanted. As we age, fine lines and deep wrinkles begin to appear on our faces and our lips. Environmental factors like sun exposure, diet, and smoking help speed up this process. Dermal fillers can reverse the aging process, fill up thin lips and plump up cheeks as well contour your nose and jaw line if required. As the name suggests, they fill out these areas and give a smoother fuller and more youthful appearance. At our center, your plastic surgeon will explain to you which filler is best for you and your result. The treatment itself is less than 30 minutes after which the patients is free to return to their daily activity. Hyaolurinic acid are the international standard for dermal fillers and the fillers we use are all FDA or CE approved. What you get with Dermal Fillers in Dubai? skin. Hyaluronic acid filers improve hydration, maintain shape and smooth out wrinkles. The various types of this category work differently and with results specific to each one. They are usually the most prescribed for first-timers because they are temporary applications that lasts for a little over a year at most. The common side effects of this category include bruising at the site the injection is made, swelling, and redness. This filler can last for many months and even up to a year. From the name, these are fillers made from the lab. The benefits of using these fillers come from their long-lasting effect. The fillers offer at least a permanent filling of creases and lines and they have similar side effects just like the Hyaluronic acid fillers. Collagen dermal fillers are made from animal sources. The first development by scientists came from collagen extracted from cows. They have a higher rate of allergic reactions because they are made of animal sources that are entirely not from the human body. However, new improvements have made the use of collagen fillers safe and carry less risks. Fat is the principal substance used for this category. Your fat is extracted surgically from the buttocks, thigh, and stomach, processed and later injected. All the procedure can be carried out in a visit. The result can be semi-permanent. A platelet-rich plasma injection is a form of this type of Dermal Fillers In Dubai. The expenses of dermal fillers are relative to how much you want to be done. Who does the filling and the number of dermal fillers administered all add to the total cost of the procedure. Every clinic has its pricing, and it also depends on which clinic you are consulting. The average price of a syringe cost between $500 to $700 depending on the type of dermal fillers you are using. In the course of the consultation, make sure to address all the questions you may have with the surgeon. To be safe, consult and allow only certified professionals to carry out the procedure on you. First, before the injection is made, the particular are will be cleaned and a topical anesthetic may be administered to numb the area. Lidocaine is a mild anesthetic that is found in some fillers and you may not need another from the surgeon before the injection. The purpose is to minimize pains and discomfort during and after the injection. A calculated amount of the filler is then injected beneath the skin. The result can be instant and you should be able to see it immediately the injection is given. There is no down time with this treatment. You should be ready to return to work immediately after the treatment. you may need to avoid rigorous exercise on the day after the treatment. For fat injection, the procedure takes a different approach. General and local anesthesia is administered. In this case, downtime can be up to as much as two weeks. This is influenced by the amount of liposuction carried out. You will be guided and instructed by the surgeon on the recovery pattern during your consultation. How long the treatment lasts depends on the area to be treated, the product, and the treatment mode. The denser and deeper the product is injected into the skin, the longer it may last. Repeat treatment can help to maintain effectiveness. There are medical no age limitations for dermal fillers. In some cases, where a patient is very young, we reserve the right to ask for parental consent. Is the Dermal fillers result permanent? How long does it last? Dermal fillers are long lasting, and depending on the area which you are injecting can last several years. In most areas though, a re-injection is necessary after 12-18 months as the biodegradable fillers slowly dissolves away with time. How long till I see the result of Dermal fillers? The result is instantaneous. It can take up to a week to get a final and complete result however. We offer our patients touch ups a week after the initial injection in case they would like to make small adjustments to perfect their result. This ensures each patient gets the exact outcome they are looking for. Pain level in Dermal fillers Treatment? Fillers is a virtually painless procedure. We ensure the area being injected is numbed for sensitive patients. The most common areas requested for fillers are the lips to plump and shape thin lips, around the eyes to give a more youthful look and reduce ‘crow’s feet’ wrinkles and fine lines, at the cheekbones or chin to make them more prominent and the nasol-abial folds for a more youthful smile without wrinkles. Other injections can be used for the forehead fine lines, and also around the eyes to eliminate wrinkles and fine lines.